Marsha McCloskey designs and makes quilts, teaches, and writes about quilt making. 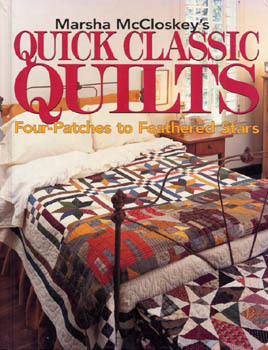 Most of the quilts in her book are rotary-cut and machine-pieced. Her designs inspire quilters to experiment with color and fabric. This book includes patterns for over 25 beautiful quilts along with techniques and tips along the way. Softcover � 160 pages.